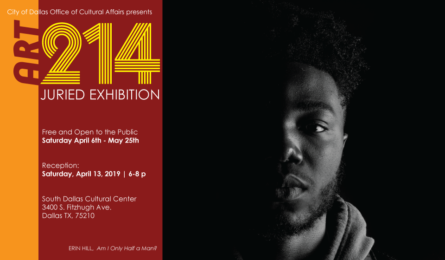 H. Paxton Moore Fine Art Gallery at El Centro College announces its opening spring exhibition “That’s So Fresh Expo.” This group exhibition features local artist of all disciplines to showcase an eclectic body of work that represents the distinct culture of the DFW area. Fresh Expressions: Eyes, Ears, and Tacos – a group show featuring Rebecca Winters, Heather Bird, Ray Broadbent, Robert Flores, Brian Harshaw, Aaron Hutchinson, JoeArt LaBerge, Mike Montgomery (Mike Morph’d Mohawk), Trista Morris (Art of Trista Studios), Landon Shepherd. Live music by Matthew Broyles, Ryker Hall and Orthodox Fuzz. Join us in celebrating our newest show highlighting VALA artists! Gallery is open weekdays from 9am-5pm, and on Saturdays when no private events are happening. Visitors of the VALA Gallery will not be allowed in during Private Events at the Cotton Mill. Grackle Art Gallery – “Group 14” , featuring Heather Bird, Michelle Ben Shalom, Ann Gilloon, Aaron Hutchinson, Jarrel Sustaita, JoeArt LaBerge, Eddie Brassart, Rachel Eastman, Steve Ben Shalom, Adam Werner, Rachel Parnell, Urban Castro and Danny Haslett. Live music by A Michael E, Gabriel Davis, Big Heaven. The Inaugural VALAWEEN 2018: Dark Art Show and Masquerade Party! 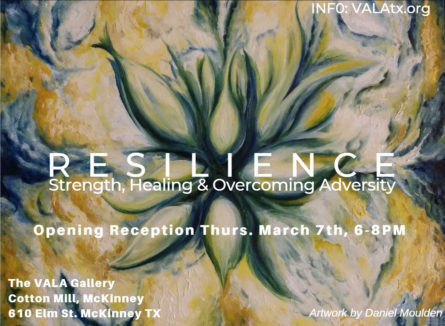 & the launch of the Brand New VALA Gallery in the McKinney Cotton Mill!Come check out our 22 participating artists who are sharinations of Dark Art! Please join us for an Opening Reception on Saturday, October 20, 2:00 pm—4:00 pm, in the Milde Gallery at the Goldmark Cultural Center. This event is free and open to the public. Lake Granbury Art Association presents its annual open fall juried show at the Shanley House Gallery, 224 N. Travis Granbury, TX 76048, in conjunction with Granbury’s Fall Festival of Art. The public is invited to the Reception & Awards Ceremony on Saturday, October 13th at 6:30pm. 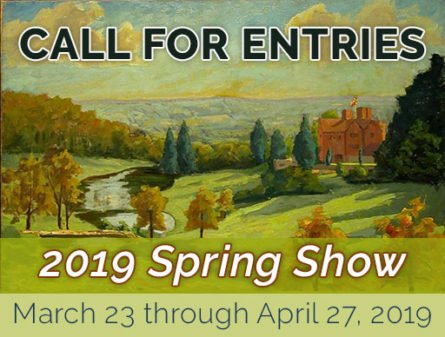 34 City of Keller and KISD area residents are participating in this year’s exhibit of oil, acrylic, watercolor, pencil, mixed media, photography, sculpture and jewelry. 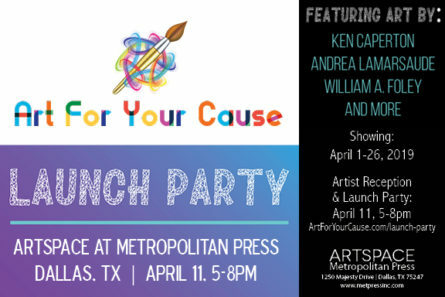 Artists in the North Texas Printmakers Guild (NTPG) are on display at ArtSpace at Metropolitan Press in Dallas during September. Kettle Art Gallery presents “Masstige,” a group exhibit featuring works by Jamie Walters, Minji Kang-Watrous, Marc Dominus, and Todd Gutmann. Featuring Artists who have had a gallery show in the 1st ten years of The Point. Two gals and a guy: Pam Fritz, Barry Selman, and Jackie Stengle.